North Park in southeast Denver, Colorado on March 3, 2014. 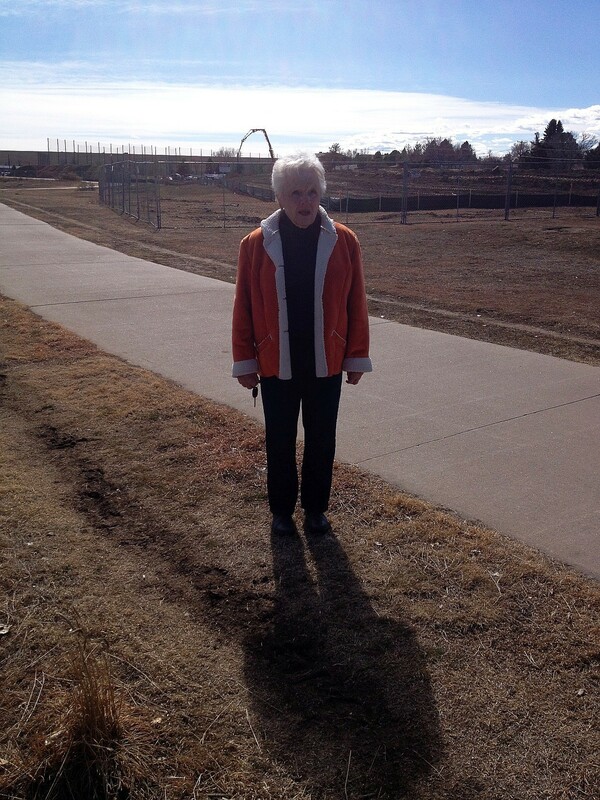 The photo attached shows Joan Biggs, born in 1926, standing in Hampden Heights North Park in southeast Denver, Colorado on March 3, 2014. 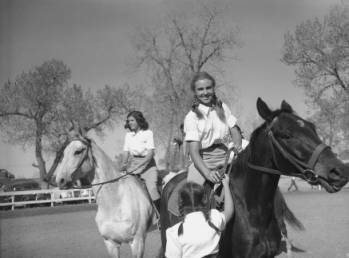 Joan rode horses in the park from 1938-1944 as a member of the Hottentot Riding Club. In the photograph behind Joan, you can see construction workers pouring concrete to erect a new school in the park. On July 10, 2013 Denver city officials traded 11 acres of parkland to Denver Public Schools (DPS) as a building site. Teen-aged girls, members of the Hottentot Riding Club, pose on horseback near Denver, Colorado. Western History/Genealogy Dept., Denver Public Library. In exchange, city officials received title to a building at 1330 Fox St. The city Charter prohibits sale of any part of a park unless approved by the voters of Denver in an election. Denver’s Mayor Michael Hancock and Clerk and Recorder Debra Johnson refused to allow citizens of Denver to vote on this issue. Friends of Denver Parks, a local nonprofit, filed a lawsuit to prevent destruction of the park. Although Denver’s zoning code of 2010 designates this land as an official city park, to be preserved and protected by the Denver Department of Parks and Recreation, city officials insist that it is not a park. A jury trial in Denver District Court is scheduled for May 19. In the meantime, DPS is spending hundreds of thousands of dollars of taxpayer money on construction that may have to be torn out if the jury decides for the plaintiffs. Also attached are the affidavits of Joan Biggs and former Denver City Council woman Susan Barnes-Gelt. The affidavits show that Hampden Heights North Park has been used and recognized as a park since the city acquired the land in 1936. You decide who is right. This entry was posted in Hentzell Park Update and tagged Colorado, Debra Johnson, Denver Public Schools, Hottentot Riding Club, Joan Biggs, land swap, Lauri Dannemiller, Mayor Michael Hancock, southeast Denver, Susan Barnes-Gelt. Bookmark the permalink.